Fun To Do NEW Snow White NXTGen resin for 3D printers. From pure white to infinite colors. 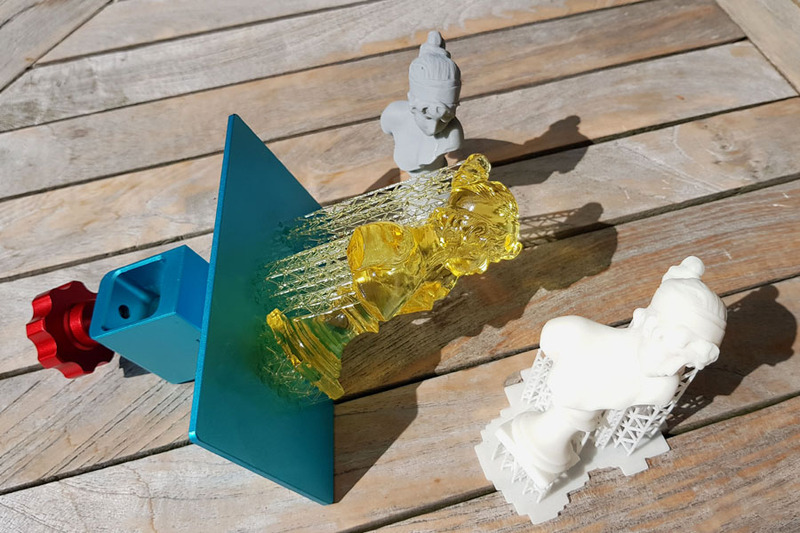 3D printing resin Fun To Do Snow White NXT GEN.
With the Snow White resin for 3D printing, we are entering the arena of unmatched colour possibilities…..! When shortages are over, we will have two similar products! NxtGen Snow White and Snow White Classic. With one bottle of NXTGEN Snow White, you will get one free FEP sheet of 19x13cm (fits most popular printers)! NxtGen Snow White has a yellow undertone when first printed. Because of the photobleaching properties of some of its ingredients, after being fully cured, the print becomes the white you are used to. The resolution of NxtGen Snow White is phenomenal, and resolutions of 0.05mm are easily achievable (on the proper printer).The Hardness is around 80 shore D, We have made the viscosity slightly higher at around 85-90mpas at 20C, otherwise the exposure times would be too low for most machines.